I was able to get up close and personal with Brisbane’s roads again yesterday. A little too intimate really. After another sensational zupps ride, I found myself chewing the pavement on the way home after riding blindly into the biggest @&$$ing hole near Sandgate. It was a good lesson to pay attention on roads after periods of rain. Also reminded me how important it is to announce road hazards to those behind. Big thanks to all the concerned cyclists who helped myself and Glen off the pavement. You will be happy to know we made good use of St Andrews excellent facilities. Thankfully I had finished my casting for the weekend. 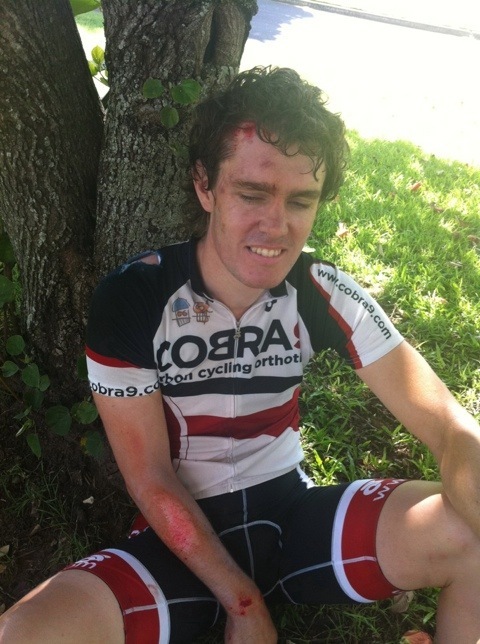 Don’t worry guys, even a few grazes won’t delay your Cobra9 pros from arriving on time.